If you want more over the top zombie killing you’ve probably been waiting for the release of Dead Rising 3 which takes the game series to all new levels of awesomeness. The game was released in mid-2013 as launch title for the Xbox One platform. 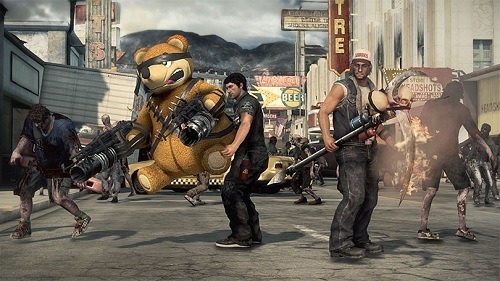 If you’ve been following the series closely you’ll find that Dead Rising 3 takes place a decade after the events of the second game. This doesn’t mean the world is in complete ruins though as the game area that players get to explore has only recently succumb to the infection. In the game players play as Nick who has survived the infection for three days thus far by himself. After the break down of quarantine areas he decides that the only way out to safety is to solve the problem himself while also uncovering evidence behind the events that led to the outbreak. 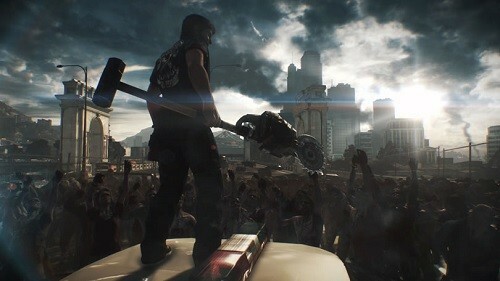 Gameplay sticks very closely to the popular formula developed by the previous Dead Rising games with players taking control of their character in third person and ploughing through hundreds and even thousands of zombies. Just like the other games players have an endless number of options to deal with the zombie threat. Of course this includes the weapon combining mechanics that Dead Rising fans have come to love. It’s now a quicker process since it doesn’t need a workbench though. The game is a much more open world experience compared to the other Dead Rising games with players able to freely move around the fictional city which has countless landmarks crammed closely together to keep the game action packed at every turn. Thankfully Dead Rising 3 introduces driving into the game so it’s never hard to get around. The best Dead Rising game yet. Thousands of zombies on screen at any time. A large world to adventure through. Quicker weapon pickups and combinations make for a smoother gameplay flow. Originally for Xbox One, subsequently released on Windows.